With all the types of equipment needed for a tower climber to effectively do their job, it seems like a lot of back and forth can happen. Comparing websites with different information can be a headache, so here is the cliff notes version, a sort of “cheat sheet” if you will that tells you the most vital information at a glance. The most important factor when deciding which helmet to get is the fit. To determine a proper fit place the helmet on your head and shake your head back and forth. Even without the chin strap, the helmet should not wiggle. UIAA helmets have stricter requirements for safety than CE. Store them in your locker away from direct sunlight. Replacement: If there is ANY sign of damage, don’t question it, replace your helmet. Helmets should be replace within five years of the manufacturers date, even if they have no visible damage. Any contact with a falling object calls for helmet replacement. Just like with helmets, proper fit and comfort should take priority over what the boot looks like. The welt technique is durable, but not as comfortable as other techniques. Cemented boots are inexpensive and comfortable with less durability than the other techniques. Direct-attach boots have the highest amount of traction and are lightweight. Replacement: If your boots no longer have traction, then they are dangerous. Poking pieces, wrinkling, and tilting are signs that your boots are wearing out and need replaced. Tower climbers put a lot of wear on their gloves. The majority of gloves used will be leather or fabric. Leather is sturdier but less flexible and it doesn’t breathe well. Cotton or synthetic gloves are comfortable in comparison and provide better flexibility. They are not as sturdy as leather, therefore, need to be replaced more often. Replacement: If they are torn, punctured, ripped, thinning or falling apart then they need replacement. Wearing gloves is not just beneficial to prevent burns and callouses, it is also required by OSHA. Harnesses usually come with padding. Extra padding should be considered if you are stocky, new to climbing, or find that some harnesses dig-in to those sensitive spots. Make sure you have enough clips for your equipment. 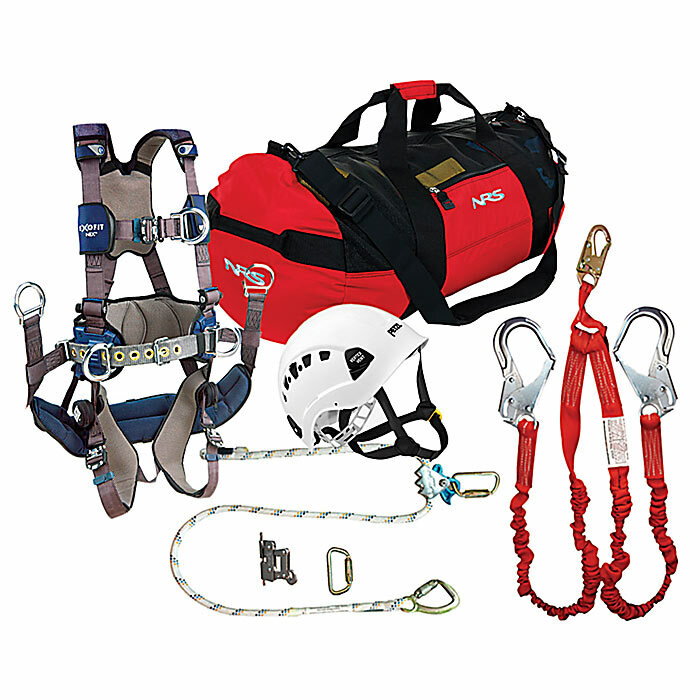 A harness that is too big will compromise safety and a harness that is too tight will restrict movement. It should not slide over the ribcage and the harness should have various adjustment points. Replacement: Every manufacturer provides a different expiration date for their harness based on material and how it is put together. Even if your harness has no visible wear, it should be replaced before the expiration date. Keep an eye on the nylon on your harness, when it starts to change color, it has become worn out. Wipe off dirt and dry your harness to keep it from molding and fraying prematurely. A detailed guide to each of these items is available on this site. For more details, please consult the individual article. And remember…. when in doubt, throw it out.